Some people I work with happen to think I do things to the extreme when it comes to my office cubicle. Well, maybe so, but I figure that I spend about 9 to 10 waking hours of my day in my office and I spend at most 3 to 4 waking hours at home every work day. So, if I spend so much more waking time at work than at home, why shouldn't I do everything in my power to enhance my life in the office? What would you call a luxury? Well, I would call it something that you don't really need but you splurge a little to own. Well, when it comes to my office cubicle, I own 4 luxuries that I have treated myself to which truly enhance my working life. In fact, I'm not really sure what I would do without them because they all affect the environment in which I work and to a very positive degree! Having my own refrigerator in my office cubicle is life-changing! OK, maybe it's not that important but when it comes to my office, it is my most important and go-to cubicle luxury. I keep my water bottles and lunch in there and oftentimes put leftovers in there if I happen to go out for lunch. 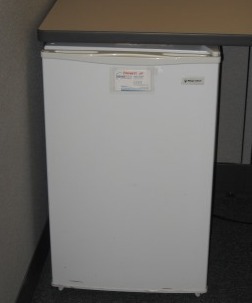 I also allow some of my co-workers to use my refrigerator instead of having to truck down to the cafeteria and use the company refrigerator. There is something really homey about having my own refrigerator that is so great in the office environment. If you want to read more about this refrigerator that I use on a daily basis you can read this article or check out my youTube video. My Black and Decker Brew N Go is probably my #2 cubicle luxury. I love a particular brand of coffee (OK, it's Starbucks) and it is the only brand that I care to drink. My company supplies us with free coffee but it's not Starbucks. So, I decided a while back that I was going to have what I love each morning right when I get into the office. 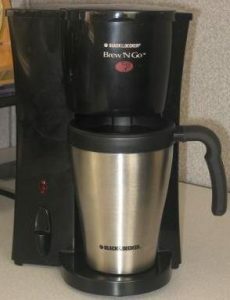 I also decided to buy my own burr coffee grinder that I write about here which has truly enhanced my coffee experience. I've owned this office coffee maker for over 3 years now and it keeps going strong. If you too love coffee and don't want to settle for the company brand, this is such a reasonable investment that will enhance your working life. Check out my youTube video to show you how easy it is to use! OK, this particular product came out of the blue for me. I noticed that someone that was on my site purchased one of these on Amazon after reading one of my articles. This is actually how I can get many of my ideas for this site. I get some insight into what people are buying. 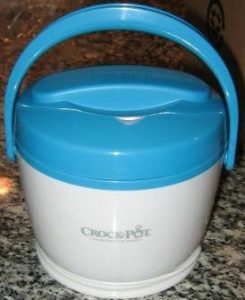 Well, once I saw this Crock-Pot food warmer I knew that I had to check it out given the fact that the reviews of this product were phenomenal. So, I purchased one and now it is a regular part of my cubicle. I bring in leftovers and use this food warmer to heat them up about 2-3 times a week. 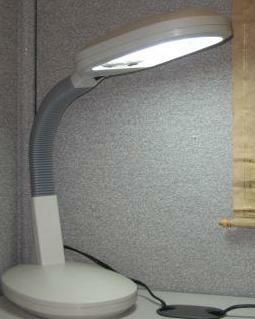 I love it and it is one of my cubicle luxuries that gives me the comforts of home. No more need to use the gross company microwave that never seems to get cleaned out. This was the article I wrote about my Crock-Pot food warmer if you want some more detailed information and images. 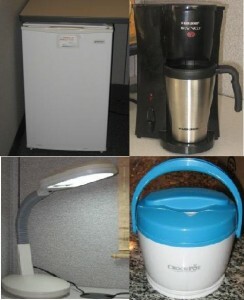 Think about what luxuries you can add to your office environment. Believe me, they will make a huge difference in your working life and maybe you won't dread dragging yourself into work each day. You spend so much time in your office. Try to make the best of it and maybe your performance at work as well as your attitude will get a much-needed boost!